His art is one of the most sensitive and vibrant arenas where his spiritual revolution makes its presence felt. Darkness becomes heightened, deepened, and blatantly brutal; while even the tiniest glimpse of light, which might otherwise seem virtually non-existent, is hailed, revered and exalted. His paintings are a visual manifestation of the beauty that springs straight from the soul and is exuded by an inner need for expression. When the numerous artists of today learn from each other and often produce art, that resembles each other's work, his art stands out like a sore thumb. The eccentric methods and use of unconventional tools lend his paintings a refreshing rawness that is only heightened by the dramatic yet tasteful choice of color and texture. The fierce and frantic flurry in which he produces the sheer volume of artworks is a testament to his immense creative potential and innate talent. The abstractions created by Bharat Thakur [Born 1972 ] have many dimensions and shades. He is an artist with a difference. It is not possible to locate his status within the commercial art market space of a gallery or an auction house. However it cannot be denied that he creates and sells his works and also showcases it at exhibitions. But the difference is that for Bharat, making and selling art is not his profession rather a passionate avocation. He is a multi dimensional and versatile personality, but primarily a Yoga guru who has established his credentials in this episteme through a detailed study of ancient art and practice of Yoga and has aided in the growth and understanding of the tradition through establishment of his "Artistic Yoga" centers created across the world at major metros and other cities. Bharat Thakur was born to make a difference to the world, a prophecy, made at the time of his birth. As a persona there are binaries which, makes it difficult to define him as an individual. He is an ascetic yet lives within a society, loves to be alone but is married with a son, a Yoga Guru and a strategist businessman with companies managed and run by others, an Ayurveda specialist and a Tantric, philanthropist and an agriculturalist, and in his creative pursuits an artist, writer, poet and a singer. In the study and analysis of his art similar binaries emerge. A self taught artist with a natural gift for drawing skillfully, he shifts his artistic language strategically to occupy and practice in the domains of both absolute realism and total abstraction. For an individual as Bharat whose prime preoccupation is Yoga and its correct and measured instruction in its practice, the filtering in of yoga principles in his art remain at the heart of his abstract creations. To clarify, this implies elements of abstraction in yoga as mobility, control, energy, emotions, mind and body which are maintained in harmonious union, he translates these with basic elements as line, colour, texture, shape and forms and space, which serves as tools in his fundamental premise in the making of his art. The aforementioned elements undeniably are abstractions since they are not physical objects that lend to descriptions; and Bharat in order to express it has not attempted to use appropriate objects from his surroundings as symbols to denote these abstract qualities; but encounters abstraction with abstraction translating with great efficacy. Thus a Yoga practice that transcends to become the other, which in this instance are his abstract paintings. To communicate the abstractions of energy and emotions he engages with the principle of movement transmitting it on his canvases, or he articulates harmony and unity created through the theme of nature, in which he finds a rhythm similar to the human body. Yet it mandates to trace the symbiotic relationship between religion and philosophy in the emergence of abstraction as a visual language in the history of Modern Art. The end of 19th century marked a seminal interest in mysticism and occult development, leading to the emergence of Theosophy as established by Madame Blavatsky in response to higher awareness of cosmic truth. Artists as Wassily Kandinsky, Paul Klee, Piet Mondrian and Kasimir Malevich in their abstract art made visible the manifestation of spiritual ideals as professed in the teachings of Theosophy. These artists paved the way for visualizing in paint the corresponding words that could not describe leading to translating spirituality into art. Abstraction was articulated to become a formless voice, meant to dissolve the boundaries between the concrete object and cosmic energy to spill onto the tabula rasa of the canvas, the site where the inner and outer realms of spirituality begin a new creative evolution. Each artist was painting the canvas with their own particular brush, but all were dipping from the same paint pots of spiritual awareness. The emergence of Theosophy as a spiritual philosophy at the end of the 19th century, gestured towards making a profound impact in the growth and development of Modern Art. Theosophy subscribed to the doctrine of universal "brotherhood", the study of ancient and modern religions, philosophies, and sciences. It also investigated the unexplained laws of nature and the psychical powers latent in humankind in an ever changing world where the artists became seekers of Truth. These mystics denounced the subject-object division that distinguished between the thinker and the thought. Nevertheless the principle tenet of Theosophy was valorization of the internal over the external world. In many respect these artists were sublimating their subconscious experiences of the universal cosmic energies. It was an intuitive act where the sublime was neither beautiful nor logical but emotionally powerful. The sublime connected to feelings conceived beyond limits of experiences making it relevant in the works of these pioneering artists providing connectivity to ideas of immateriality. The metaphysical ideas of an outer and inner self paralleled the dialectic between external and internal; material and non-material; conscious and sub-conscious; body and soul informed many cultures including Indian. Bharat who has a deep knowledge of various dimension of Indian episteme either consciously or subconsciously enacts these aspects in creating the abstract paintings. Visually, an encounter with Bharat's works establishes a dominant sensuality created through gestural dribbles, hand and finger strokes, which has the power of impacting the sensibility of the viewer. Bharat's methodology of working is different and distinct. The basic premise on which he operates is energy, conceptualizing all his works through this important element. Though energy is the thread of commonality weaving through his abstracts it is enhanced by the restless strokes, predominant diagonal elements that visually offer a sense of dynamism, a latent suffused ethereal light and tactile textures working through in consonance to radiate the inherent kinetic energy that flows with easy facility from the hand and fingers of the artist. Bharat is an intense focused artist whose vision is driven by the passion to realize his ideas at one sitting in the painting of his abstracts. The train of thought in initiating the process is to have a title and accordingly the work begins. The unconventional methods in painting has an appeal to his sensibility, as he has marginalized traditional methods and tools, and prefers the large un-stretched canvas placed on the floor and works like a shaman with absolute concentration which may vary from a few hours to a few days until the work is finished. Through such a process the artist not only dialogues with his materials but indirectly after completion attracts the viewer to partake in the conversation. The gestural rhythm of creation involving the whole body in action as the dribbles and splashes are manipulated with fingers and hands to create forms that are subconsciously directed to bear correspondence to the title. This working methodology bears affinity to the American Expressionist Jackson Pollock, but with a difference. Bharat's intentions are not to create an event as Pollock intended through the process of painting, rather to explore expressions that are dictated by intuition. In this respect, the Surrealist use of 'psychic automatism' through free associations of images which happens in the absence of control exercised by reason becomes equally applicable in his methodology too; as much as invocation of chance also gets foregrounded to play a seminal role, where again conscious control is put on standby. Bharat with this method creates an aesthetic of metaphors of nature as suggested by his titles 'Breathing Waters', 'The Ravine', 'Angels in the Shadow', 'Colours of Silence', 'Breathing in the Womb of Fire', etc. establishing a form of representation that is neither an image or object, but creating individualized expressions that have a broader canvas of meaning. The inherent evocative energy constructs a path flowing out from within his body to translate metonymically as aggressive natural forces, which in their movement create a sense of dynamics that is volatile and volcanic. The compelling elements of aggression in nature as the volcanic eruptions, the havoc of floods or the destructions through wind, he posits the inherent duality of the negative and positives or the yin and yang principle which if it is not balanced leads to asymmetries that gives rise to fury. The metaphoric parallel of both the constructive and destructive energies also defines the nature of man, which Bharat appropriately translates through pure intensity of colours, the finger strokes, nail scratches and hand movements that varies from architectural planar bands to brick like structure to dribbles, splashes and smudges. Bharat's abstracts were not born overnight or in a single flash of ingenuity. It was his journey of evolving and developing that has brought him to non objective creations. A talented, deft, dexterous and a skilled artist capable of straddling the realms of mimetic rendering of nature or human subject with absolute ease, the trajectory that he developed brought him to the final destination of abstraction. In developing it, he engaged with unconventional methods by interactively employing his whole body in the process of painting. In this journey, Bharat who leads an itinerant life, his world travels had exposed him to modern iconic artists' works which he experienced and saw in important museums across the world. Undoubtedly some have left a deep impression on his sensibility as the drip and dribble of Pollock who incidentally was influenced by the philosophy of J. Krishnamurthy, the violent brush strokes of Van Gogh who expressed the love of humanity, a crucible in which his art was born, the colour planes of Paul Gaugin influenced by non-Western culture, the two dimensional intensity of Matisse's colours derived from Persian miniatures, the fractured space of Picasso, the inherent eastern spirituality in the works of Kandinsky and Paul Klee, have all integrated artistically in his works to offer a visuality that is autonomous and individual. Yet ironically Bharat has been attracted to these masters whose philosophy is derived from the East; and which shares certain dimensions of mysticality and concepts of higher consciousness. Every artist searches for inspiration or a referential point, which allows him to create expressions that are intuitively guided by the subconscious. Bharat's works are of an artist who paints with his soul, the intuitive element dominantly driving his creative energies which are fuelled from his subconscious. Yet he is also a very keen observer of the perceptual world, his abstracts cannot simply be dubbed as belonging to the subconscious realm where he has no control over it. As a matter of fact by internalizing the observation from his environment, they become fodder for his paintings which evolve as forms that resurfaces with a depth of feel and sensitivity. Binaries at work again between the perceptual and the subconscious! The psychological concept of 'gestalt' remains very strong in his large compositions that are almost 10' by 20'. The theory of gestalt suggests that incomplete forms visually seen by the eye gets completed by the mind so that even a suggestion with a few strokes, the brain will complete it. For example, in his 'Breathing Waters' or 'The Ravine' it makes it possible to connect the title to the painting, though the forms are broken making possible to visualize a gushing stream of energy of water or in 'The Ravine' that gives an approximation of foreboding of falling off a sheer cliff that the brain stimulates to see. These gestalted forms articulated and engaged subconsciously by Bharat leads to creating an inherent drama and dynamism which compels the viewer to dialogue with it. A work of art that compels the viewer to stop and invites him to become an internal flaneur is a reflection of an artist capacity to stimulate the aesthetics of appreciation. The gestalting forms created unknowingly by the artist, inherently remains the premise of Bharat's works. An interface with his body is also important, suggesting that the positive energies which, leads to the act of creation are automatically embedded in the work. The energy and rhythm choreographs a dance of movement which eventually becomes a saliency in his work. Through such an act, the mind, body, emotions and energy are collated together, transcending from his yoga practice to reinvent the same in his abstractions. This ultimately is the grand union of all the four karmas which come together, and it is little surprising that his works exude that aura of spirituality emanating from a cosmic universality of oneness, which Bharat personally lives through his life. The painted abstracts have a depth that is created through the process of layering; building up from black to lighter tones or spiritual whites. Bharat's approach in constructing his painting is traditional, whereby he starts with a dark colour; not applying the dark browns as masters of the past did but rather with black. Over the black layer he applies a blue and white and after that the construction of layers continue, smoothening the colours with his palm to create shades and tints and finally using his fingers to create the smudgy rough effects which gestalts to appropriate character of forms from nature. The love of nature is dominant in the artist works. From a young age of four up to fourteen years he lived his life in the Himalayas with his spiritual Guru and three other companions before beginning his education in Gwalior from where he went on to complete his undergraduate and postgraduate studies in Exercise Physiology and Yoga from The Lakshmibai National College of Physical Education. The love of mountains and nature therefore has become an integral part of his persona, as it continues even today when he feels the need and desire to break away from the chaotic world of society and finds solace and solitude in the lap of nature especially the Himalayan mountains, with the result that these elements also inhabits his works. The emphatic textural quality that marks the saliency of his works along with the gestalt articulates a quality/character of sensuousness. The sensuousness I reference is that of a strong tactile quality which makes a viewer reach out and feel the works. The inherent binaries already mentioned earlier as part of his personality nevertheless becomes manifest in his works where sensuousness contrasts the asceticism of his working process sans the modern tools available and at his disposal. The visual and tactile textures enhance the sense of dynamic movement, implicating the energy of the cosmos at the micro level. In other words Bharat creates a microcosm of the macrocosm of the universe with its inherent elements of fire, space, water, earth and ether. Hence the unity of his mind, body, emotions and energy conflates to become one with higher powers of the universe. The kaleidoscopic colours in their chromatic vibrations enhance the aura of energetic movement and rhythm as he intuitively engages with it to mimic the four seasons with their ethereality. The colour range is diverse as he straddles from fiery hot reds to warm glowing ember oranges and sunny yellows, earth ochres and mountain browns to cool meadow greens, and icy blues to spiritual whites building up the shades and tints to the requirement of his themes and the titles. The colours have depth in their intensity and through layering acquire depth and dimensionality. This binary of depth and shallowness creates a paradox, being spatially vacuous but chromatically rich in its depth. In his technique of handling colours there is mastery in facilitating the saturation, diluting where required and engaging with full concentration where demanded. The felicitous control of the wrist, hand and fingers all coordinate in helping Bharat to construct his works. Like a Zen master who has control over every aspect of his being, Bharat controls the flow of colours and manages his technique with ease and skilled dexterity. In the final analysis a walk into his paintings as an enchanted flaneur offers a universe which is calm and serene as in "Breathing Waters" "Lost Memories", "The Forest of Dreams", or agitated as in "The Ravine" or "Flame of the Heart", cataclysmic presented in "Angel in the Shadow" or "Bathing in the Womb of Fire". Besides reflecting the moods of nature, they metonymically extend to become the three Gunas described as Sattava, Rajas and Tamas that define and characterize human passion and mood ["The Colours of Heaven", "Cloud of Consciousness", "Prisoner of Desire", "Behind the Mask", and "Eternal Turbulence"]. Bharat's works also conflates the concept of space and time which gets defined as major elements of abstraction. Both time and space are infinite but the finiteness of man remains constrained metaphorically within the size of his canvases which cannot get any bigger than the biggest Bharat can create. Hence his abstracts are a narrative of his journey, experiences, meditation, yoga practices and above all the philosophy of superior cosmic consciousness which must enter every individual if he has to rise above the mundane of everyday reality. The aesthetics of appreciation of his abstracts lies in this realization, when one transcends the physicality of paint, textures and strokes and finds a contemplative space within it. From 'Artistic Yoga' to painting, the well-known yoga guru Bharat Thakur has traversed miles literally and figuratively to express his creative side on canvas. Thakur's large expansive canvases painted in brilliant colours and layered with textural depth, are an intuitive outpouring and an expression of his inner tryst with mysticism. The founder of artistic yoga, Thakur recently reverted to painting after a gap of almost fifteen years. Incidentally, the multifaceted fitness expert is also a published poet and writer. The vast sprawling canvases on view at his Bangalore residence are an exploration of the self, offering a glimpse into the soulful journey that defines him. On this creative sojourn the quest for self-expression and introspection forms the dominant leitmotif, which encourages him to experiment with diverse styles and genres. Some of the larger works remind one of the action paintings by Jackson Pollock, forming studies in colour, brightness and textures in inspired yet intuitive patterns. The rhythmic and cyclical nature of the works, although abstract hint at observed narratives and personal vignettes. Another series of works is inspired by the pristine landscapes from the mountainous regions of the Himalayas, where the thickly applied rapid strokes and the use of colour to depict light capture the essence of serene and calm environs. A self-taught artist, Thakur's paintings are refreshingly vibrant coalescing colours, composition and thematic elements in harmonious efficacy. A prolific painter, he finds the immediacy of the acrylic medium and the process of painting with its tactile quality restorative and reassuring. Necessitating a compulsion to paint for several hours on a daily basis, the practice is meditative for him, especially because he prefers to apply paint with his hands. Inspired by the expressionist style of Van Gogh, Thakur has made every effort to learn the process and finer nuances of painting by observation and skilled guidance. The vivid strokes painted in abandon by the Dutch painter have influenced several of Thakur's works to an extent. Thakur's paintings mitigate between the artist's quest for self-reflection and identity while exploring notions of consciousness and universal truth, however at times these follow parallel trajectories resulting in divergent and at times dissonant styles and series. A conscious effort to express his inner spirituality with ease and faith will benefit him immensely and aid in evolving his artistic sensibilities and in nuancing his art further. When an artist creates, something within him is opened, and channelled into the receptacle of his productivity. It is mediated and shaped by the tools he chooses, and the medium that he works with. For Bharat Thakur, the act of painting appears as a state of mind that allows the abundant flow of various elements, both physical and metaphysical, into visual, perceivable form. This bestows each work with a sense of throbbing life, and articulated feeling. The intense colours and textures, the conscious and unconscious patterns, linear formations and spatial constructions serve to establish a dominant mood in a painting that invites the viewer into deeper emotive engagement and frames the manner in which it is experienced, individually or collectively. Dr. Thakur works intuitively; inspiration for him comes from varied sources, and he also constantly dips into his memory and vast experience, both in terms of bodily travel through different world environments as well as the more spiritual traversing between realms of the mind and consciousness. It results a visual language attuned to the abstract rather than the representational, though the two are often integrated in a subtle way. Abstraction is a journey into the interpretation of what remains unrevealed in reality, it peels away the outer layers and seeks the bare core. The focus then, is on the subliminal meanings that are generated with the imagery - the mind, after the eye, is led into the very tangible experience of the artist, seemingly at the moment of his applying the paint - the moment of shared rasa. A painterly play of concealment and revelation through the layering of pigments and the build-up of low relief textures pronounces a more symbolic and philosophical exploration of life in all its vicissitudes. The works are mostly large in scale, the picture planes alive with colours that are vibrant, bold and free. The primary, often unmixed colours are dropped, poured, splashed and daubed with his fingers, as the artist pays a gestural tribute with each painting. The dynamic movements he makes are visible in the strokes, as he dances from painting to painting, working simultaneously - adding, layering, coaxing new stories out of the hues. He has developed a method of using a trolley-apparatus so as to allow his entire body to capture the creative act. It is almost a ritual performance, not done in isolation, but to the sound of music, and the warmth and company of friends and family. The colours and forms trigger a whole gamut of emotions - the bright reds and dashes of orange and yellow elaborating the sense of intense life, fire and renewal; stark blues and purples harking on nostalgia, memory and loss; sombre greys and whites conspiring to evoke spiritual calm and notions of infinity; multiple, mingling hues singing out in joy and happiness. It is possible that a viewers' state of mind and conditioning will reciprocate diversely the language of colours. Energy radiates from all of them, the linear motifs adding or subtracting from the general momentum. Natural elements in all their force seem to merge and envelope the space - the artist is touching the wind, tasting the rain, breathing the green fragrance of lush undergrowth, feeling the sharp thorns and reaching out to the velveteen earth; each texture is intensified to present the core experience and the viewer is taken along into these landscapes of the mind. The poetic titles play a part in the experience of the works and add to their meaning. Some like Lost memories or Unfallen tears initiate the mind towards something solemn and intense while in The Valley of Light the movement is upbeat, joyful, the colours boldly smeared, black, red, orange, white, green and yellow. In Molten Waves the immediate power of the moment is deeply transformative while in Prison of Desire the knotted forms of barbed wire create a sensation of conflict. In the Shivlinga series, the artist has meditated on several evocative dimensions of the divinely defined symbol: in one image the Shivaling rises out of the swirling movement of glacial waters, while in another, the form is suffused in red energy; a third reflects a calm being penetrating through the facade. Dr Thakur has the ability to build bridges between the microcosm and macrocosm, between internal and external resonance, between fragmentation and solidity. His style is continually evolving, responding to landmarks in his personal journey and the larger directions that the universe prevails to suggest to him. 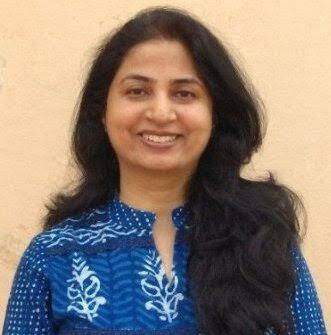 Lina Vincent Sunish completed a Bachelor's Degree in Fine Arts (specializing in Graphic Printmaking) from the Chitrakala Institute of Advanced Studies (CIAS), at Bangalore University and a Post Graduate Degree in Art History from the same institution (2001). In the last fifteen years she has worked as an arts professional, mainly in the areas of research, design, curation and public art programming. She has written numerous features and reviews for Indian and International magazines, and currently contributes to Art & Deal (Delhi) and Nigaah Arts and Culture (Karachi/UAE). She is a founder member of the printmaking group Trellis Artists Circle in Bangalore. Selected curatorial projects include 'I am Here' an exhibition of videos at Jaaga Creative Common Space, Bangalore (2011), 'Between the Lines: Identity, Place and Power - Selections from the Waswo X Waswo Collection of Indian Printmaking' NGMA Bangalore and Mumbai ( 2012-13); 'under my skin...under your skin' selected video works by Baptist Coelho (2013-ongoing); MEMORABILIA, Sumukha Bangalore (2014). 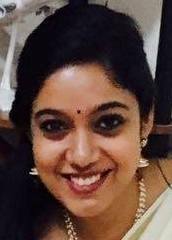 She is a curator with Artist Pension Trust (APT Global) and India adviser with ARTPORT making waves. She is designing an educational exhibition on India's medical heritage for Trans-Disciplinary University (TDU) Bangalore (supported by UNDP) and is adjunct faculty there. 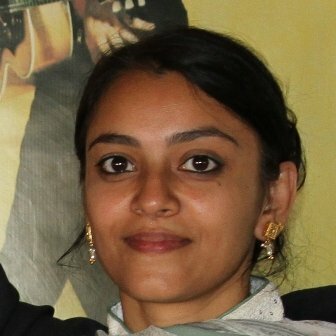 She worked on the students section of the Kochi Muziris Biennale (2014-15) and worked as curatorial research associate for 'Tabiyat: Medicine and Healing in India', CSMVS Museum January to March 2016, a part of the Medicine Corner India project.The Museum of Goa (MoG) is hosting her latest curatorial project 'Morphology of Archive', ongoing until April 2016. She currently lives and works in Goa.